I first heard about the artisan gypsywings from the Twilight Moms. They were the first ones to report last summer when Ashley Greene was spotted wearing one of her pieces, a butterfly pendant (picture at your left). 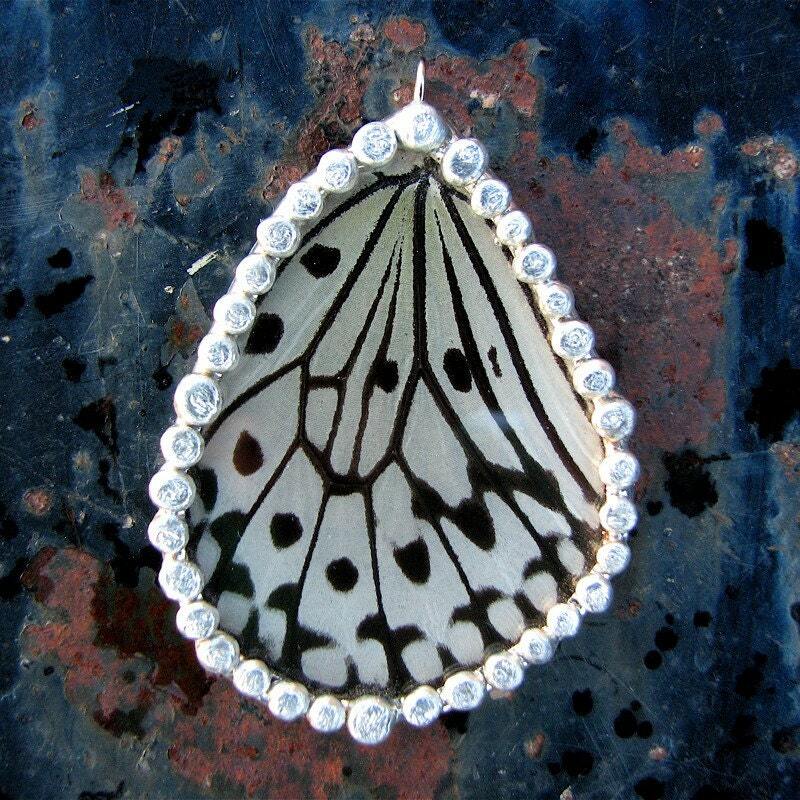 I was curious, because I adore butterflies and Ashley Greene, who I think has an incredible sense of style, so I moseyed on over to her Etsy shop. Recently while on a vacation with friends, I was able to visit Forks Washington and some of the other locations in the Twilight book series. Early one morning I went out and snapped this photo of the woods, while the fog was still hanging low in the air. It looks exactly as I had imagined the scenery to look as I read the books. I have to say, it does look exactly as I imagine the scenery in Twilight to look! 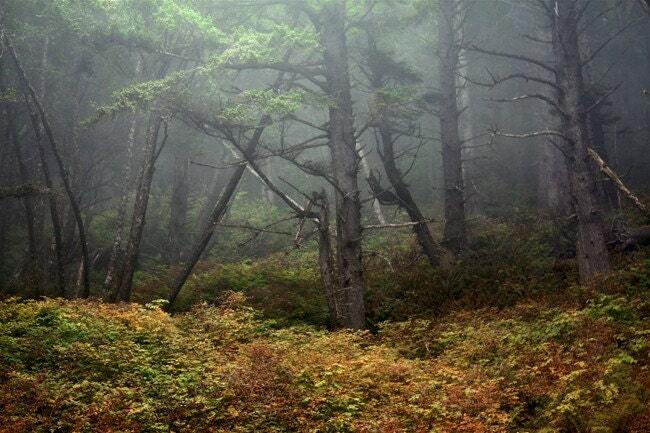 You can purchase this high quality photograph along with several others from her trip to Forks at her store. "I shook the little golden locket into his palm. It was round with a slender vine border carved around the outside edge of the circle. Edward popped the tiny catch and looked inside. There was space for a small picture and, on the opposite side, an inscription in French. "The shopkeeper told me is said something along the lines of 'more than my own life'. Is that right?" "Yes, he had it right." I am a fan of art and jewelry that has meaning, and when I read this part of Breaking Dawn it really stuck with me. I LOVE what it means, More Than My Own Life. What a beautiful sentiment. It would make the perfect gift for a loved one in your life, or your favorite Twilight fan. 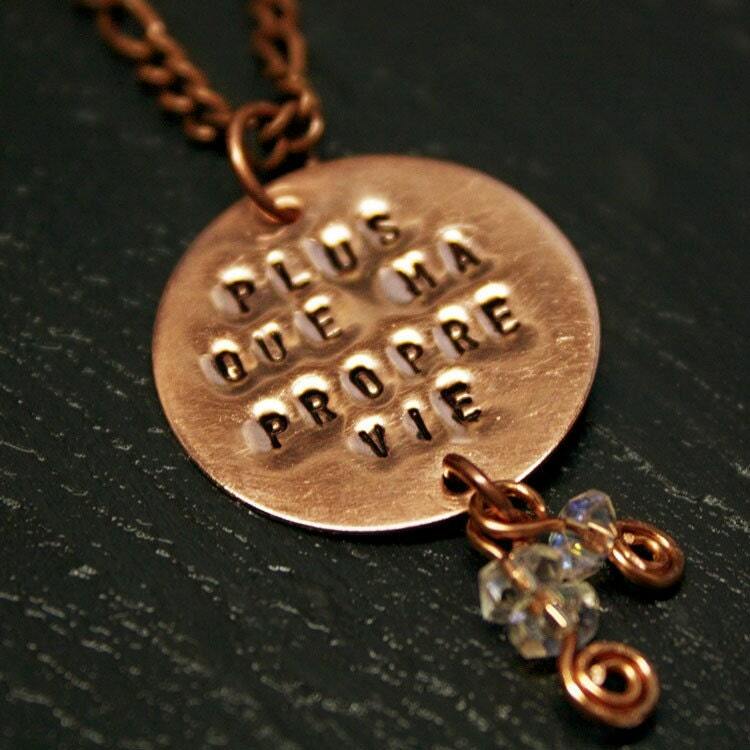 I handcrafted this necklace by stamping the words onto a 1 inch disk of copper. Then I made 2 small charms of copper wire, and little shimmering iridescent glass crystal beads. The beads glitter just like Bella in the sunlight after she has been changed :) The necklace is on an 18 inch copper chain. 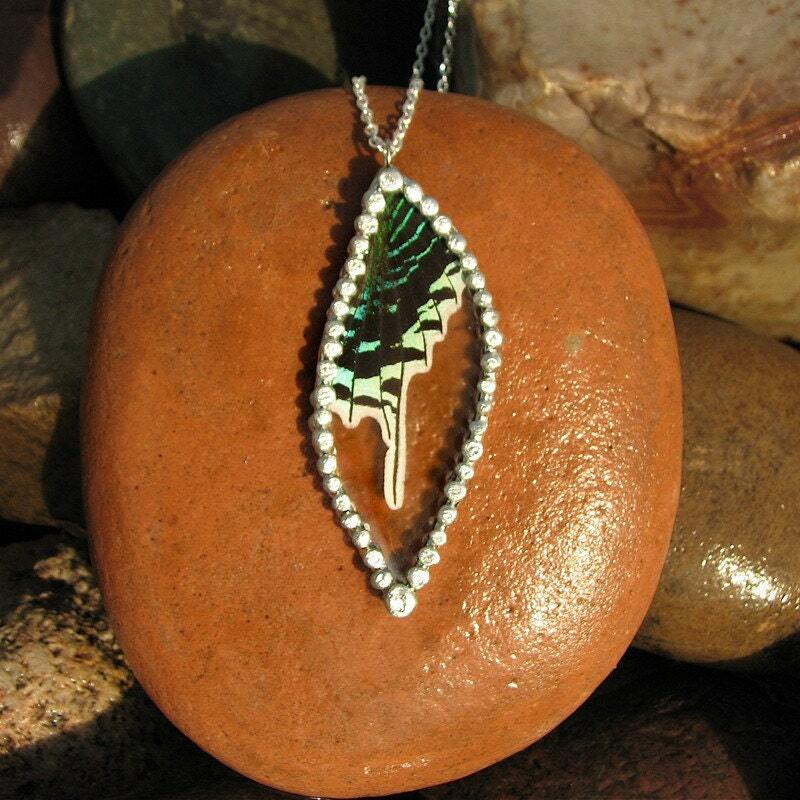 This pendant is made from the fore wing of a Tree Nymph Butterfly (Idea Leucone). The Tree Nymph Butterfly is a black, white and yellow butterfly that also goes under the names Rice Paper Butterfly, Paper Kite Butterfly and Wood Nymph. The Tree Nymph Butterfly originates from Southeast Asia. 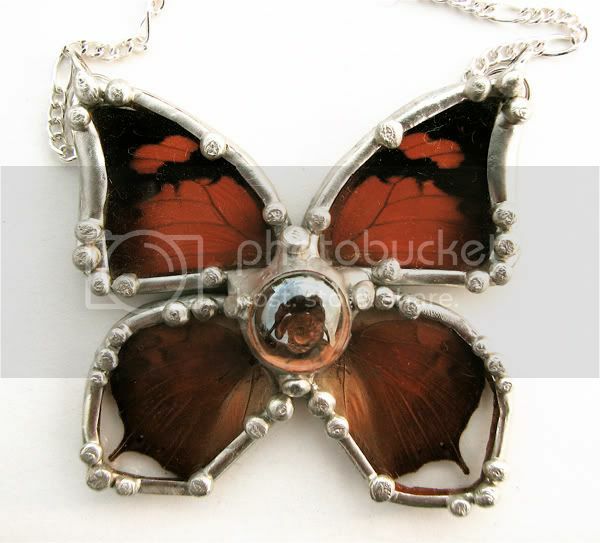 Don't worry, no butterflies were harmed in the making of this pendant. Every butterfly I use is raised on farms and collected only after they expire naturally. This pendant is is lovely in its simplicity. The wing is so delicate looking, almost translucent. The black and white design has the slightest hint of yellow near the top. Because of its simplicity it can be worn with just about anything. Dressed down with jeans, or worn with your little black dress it will be stunning. The pendant comes on an 18 inch Sterling Plated chain so it is ready to wear! The Green Page is a day flying moth and is migratory. I am just in love with the shimmery metallic turquoise, the green and yellow splashes, and the bands of black in this pendant. And look at how the wing dips down into a long tail. I made this pendant two sided because I could not decide which side was more amazing... I mean REALLY! Look at them! To learn more about Georgia, read the Twilight Moms' profile of her. To buy her pretty things, visit her Etsy store. Hmm, mmm....Yes! I love my Georgia! Isn't she the coolest? Thanks for featuring her and TwilightMOMS! No Reservations: Tony Goes to Mexico! U2 Releases New Single, "Get On Your Boots"
How Novel, She's Reading Again.